It’s hard reading about suicide. It makes me uncomfortable. It makes me think about the frailty of life. It also makes me feel anger at the person who has taken or has attempted to take her life. I always identify with the victims – the families – because of the anguish, grief, and guilt that they experience. I’ve just finished reading an astonishing book that has forced me to look at my feelings and think about suicide in an entirely different way. Linda Gray Sexton has written a personal memoir about suicide. The book is entitled: Half in Love: Surviving the Legacy of Suicide. It has just been released in paperback from Counterpoint Press. It’s a book that Linda is singularly qualified to write. She is the daughter of Anne Sexton, one of America’s great poets, who committed suicide in 1974 after a long battle with depression. Linda was 21 years old at the time. Linda, herself, suffered from depression for much of her life and attempted to commit suicide several times. Half in Love is her remarkable story that brings to life the feelings and thoughts of her troubled mind and how she was driven to make the final and seemingly irrevocable decision to end her life. The book is beautifully written, deeply moving, honest, and courageous, and will change the way you think and feel about suicide. AR: Linda, it is puzzling to me that both your mother and yourself were driven to suicide. My initial inclination is to view it as a kind of family curse, something out of a Greek tragedy. But you seem to see it quite differently. Is it more than a coincidence that you and your mother were haunted by the desire to end life? LGS:I don’t see it as a curse, but I do see it as a legacy. Suicide and mental illness were handed down in my family, from generation to generation. My mother’s aunt, whom she called Nana, was afflicted with depression, and labeled “insane.” She was eventually institutionalized and died within those walls. My mother’s father intermittently sat in the kitchen of my childhood home and told my mother of his deep depression and anxiety. Her great aunt Frances killed herself with a shotgun when I was a teenager, and her sister killed herself with an overdose of sleeping medication following my mother’s suicide. So there was a lot of mental illness and suicide in the family well before my mother finally killed herself, after many attempts, in 1974, as she was turning forty-five. Suicide was so much a part of our family construct, and for so many years, that I can’t even begin to imagine my life without its influence. Despite my early deep conviction that suicide would never be the route I would take, I found myself grappling with it when I was forty-five. It came knocking at the door in the same year of my life that it had finally taken my mother in hers. I, too, found myself sinking into the abyss and came to believe the only way to escape the interior mental anguish was to end my life. AR: In the course of reading your book, I came to feel compassion for your condition. But I was also constantly fighting off a sense of anger at you. You had a family whom you loved. A husband. Two children who were at a tender age when you sought to end your life. And you were aware, when you made the decision, of the hurt that it would cause. Under the circumstances a lot of people would say you were being selfish, self-absorbed, and weak. I would imagine that with the publication of Half in Love, you came in for some pretty heavy criticism. Can you tell us about the kind of reactions other people had after reading your book? LGS: You would expect that I would have had a lot of that kind of criticism. But really, that’s not what actually happened. I had a lot of email, and responses at readings, as well as reviews, that were compassionate with the predicament I had found myself in, much more than judgments by others that I had been self-centered in my decision. That’s not to say that there weren’t people who perhaps felt that way. It’s simply that those weren’t the people who spoke up. Perhaps the book convinced them that suicide isn’t a selfish act, but rather a desperate one, one that the ill person feels driven to by his or her pain. 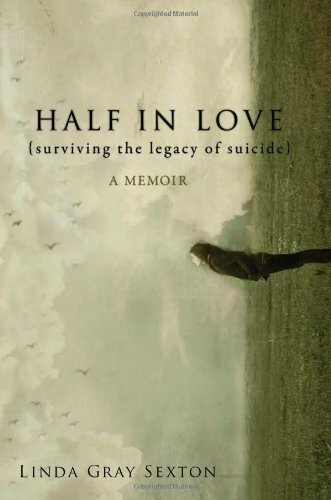 I think “Half in Love” sheds new light on the hopelessness the suicidal person feels, the sense that there seems to be no way out of the pain except a final escape. I was deluged with mail through my website from people who felt that their story had at last been told. They said that I had spoken for them, for their families, their friends. It was a very moving experience to receive these notes from the heart, and I answered them all. I was grateful to know that I had reached so many people and that they were open to hearing my message. AR: And what kinds of reactions have you had from people in the helping professions who have to deal with these feelings in a therapeutic context? LGS: Actually I have had a great deal of positive reaction and support from those who are therapists, psychiatrists, nurses, and even those who run suicide hot lines, or national suicide support groups. Everyone seems gratified that the subject, for so long taboo, has at last been brought out into the light and discussed in something other than professional terms. They have often told me they either recommend, or even give, “Half in Love” to patients, and/or their families and friends. AR: You say in Half in Love that both you and your mother suffered from bipolar disorder, a medical condition that was responsible for your extreme depression. Does it run in families? LGS: Bipolar disorder has now been classified by the medical profession as heritable. This means they have run studies to see whether or not it can be passed from generation to generation. They have even constructed studies around twins who were separated at birth to see whether there is more than a purely environmental link—in other words, these studies of twins show us whether it is “nature” rather than “nurture” that accounts for the higher percentage of bipolar disorder among family members. And indeed, twins separated at birth do still seem to share the link of mental illness, and especially, bipolar disorder, even though they were raised in entirely different environments. So in recent years we have learned that it is not only the ways in which people are raised that accounts for the illness, but that there is also a genetic component. AR: I must make a confession here. My mother suffered from bipolar disorder. She never attempted suicide, but she once left a suicide note. Even though she lived to a ripe old age, I’m still angry with her for this. Truth to tell, I’m angry with myself as well for not really dealing with it in the best manner. Is that an unusual feeling? Do the survivors often blame themselves? LGS: I think your reaction is not an uncommon one. In “Half in Love,” I talk about how angry my sister and my father and I, and indeed the whole extended family, were after my mother made a suicide attempt. We were not counseled by the medical profession that it was natural to have these emotions We were only taught that it was “not her fault” and that we should stifle any feelings we might have. Naturally, this helped us not at all. We were sad and grieving—and angry, angry, angry. We felt that she had tried to desert us in a very selfish way. As I say in “Half in Love,” suicide used to be, and still is to some extent, a deeply taboo subject. Through the ages, for instance, suicides were not allowed to be buried in churchyard cemeteries but had their bodies interred in the crossroads, where it was hoped that the four winds would disperse their “diseased” souls. I recently wrote a blog for my website that deals with this very question of anger and guilt within the family after a successful, or even failed, suicide attempt. And, in addition to feeling anger, survivors of a successful suicide often blame themselves for not having been there enough emotionally for their loved one. They believe that if only they had done something differently, the person would have lived. Both guilt and blame are nasty emotions—they take hold and are difficult to eradicate no matter how much we console the one suffering from them. I think this is why “Half in Love” helps so many people: it allows them to see that the suffering of the one they love is not due to them, but is an interior force that can overtake and destroy a life regardless of what others attempt to do to help. AR: But there is one thing of note about my mother’s condition. During her “manic” periods, she would spend her time writing poetry. Unlike your mother’s, hers was shockingly bad and an embarrassment to the family. But it was a form of creativity nonetheless. Do you think that this disease would explain some of your mother’s (or your) creativity? LGS: No, I think in fact it is the opposite. Creativity does not bring about mental illness but creativity is often present in the lives of those who are touched by the fire of this disease. Interestingly, my mother often found herself equally as unable to do any serious writing when she was manic as when she was depressed—at which time she was unable to do much of anything at all. Though the surge toward mania often produced extremely intense creative activity, once she was in a full blown manic attack, she abandoned writing for scattered activities and scattered language. She didn’t have the ability to marshal all her strengths and gifts necessary for creating poetry. I find this true for myself as well. When I was very depressed I was unable to work on “Half in Love” at all, which is why the book took nearly ten years to write. When I was on a manic surge, I found myself at my most productive, often getting up in the early, early hours of the morning to sit down at my computer. But once the mania had set in, I spent my time moving furniture from room to room, or cooking vast quantities of anything at all, which later had to be pitched. My capabilities with language languished, as I wasn’t able to corral my abilities with words into some kind of recognizable work product. AR: You also talk about “cutting”. This has struck me as odd and inexplicable behavior. It also seems to be almost the opposite of suicide. Suicide is an act that seeks to end the pain of life. Cutting is an act that creates more pain. Can you talk about this a little bit? LGS: Cutting is something few people understand. Why inflict pain on yourself when you already are in pain? The only explanation I can offer is that creating the pain is one way of “letting the pain out,” of controlling it. It is as if the pain is a poison inside of you, and by cutting you release it to flow from your body and your mind—and, in fact, from your life itself. I found, as I describe in a chapter in “Half in Love” called “Cutting,” that once I had finished using the razor blade, I felt a tremendous sense of relief, both physical and mental. In fact it kept me from making more suicide attempts—it was a replacement, in a way, that kept me alive. Unfortunately, I had a psychiatrist who couldn’t understand what the cutting did for me, and thus forbade me to cut. When I inevitably did again, once more in an attempt not to take my life, he “fired” me as a patient. It was only later, when I found a new therapist who did understand my feelings about it, and my explanations for it, that I was able to relinquish cutting without making further suicide attempts. I think it was at this point that I seriously began to get well. AR: I read a lot of memoirs. Some of them are just plain silly or exploitative. And then there are those like yours that are brutally honest, that deal with the most personal of all feelings, and that are courageous enough to talk about mistakes, flaws, and weaknesses without resorting to self-justifications. Isn’t it scary to do something like this? To expose yourself this way? To take this kind of risk? Why did you do it? LGS: Of course, the answer is “yes:” it is very frightening to expose yourself, especially about an aspect of your character that is terribly unappealing. You have to be willing to bring your flaws and your weaknesses into the light, without trying to self-justify, as you say, and be able to take the heat. Ultimately, if you want to reach people, you have to be willing, as I say, “to get naked.” And you have to do it in front of a lot of people. 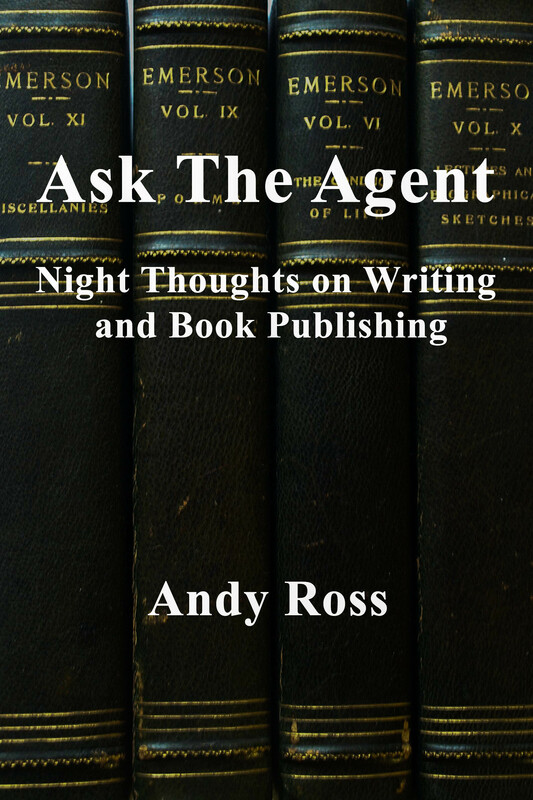 Many people ask me, “why didn’t you protect yourself from public scrutiny by writing this as a novel instead?” My answer is always that I thought it would be more authentic, more moving, if I weren’t hiding my life behind the life of a character. And, in the end, I think I was correct. I don’t think I would have received the outpouring of mail if I had fictionalized this aspect of my life. People responded because I had been willing “to get naked.” They felt that if I could do it, so could they—in talking with their family members, their therapists, their friends. And for the public, who knew so little about mental illness and suicide, the book opened the topic and so made it less taboo. I made myself public so that the topic would be public. I wanted to help the people who couldn’t help themselves, to give them a voice. AR: Well, at the end of all this, you are still here and seem to have triumphed over your desire to end your life. It sounds like you have come to love life. How did this change come about? LGS: It took a long time. I wrote “Half in Love” from the depths of depression and then as I began to come out of it. I wrote it as I began to move away from death, and emerge toward health. I did that with the help of a great therapist, and a loving husband, and an extended family that eventually began to understand what had happened to me and to forgive me. And then there were the all-important medications, which took a long time to regulate and to get in the proper “cocktail,” but which my very skilled and compassionate therapist juggled until she had it just right. I feel grateful for all the emotional support I have received and for my ability to receive the medications that, even today, make my health possible. To return to the book’s title, which takes its source from a poem by Keats, at one time I was “half in love” with death—and now I would have to say that I am quite in love with life.